What used to be a cramped and dark space with mustard linoleum floors and 360 degrees of wood paneling, has become a sleek and modern reflection of a home owner’s courage and passion for living the dream. Flat panel cabinet doors and a kidney shaped island table give an appreciative nod towards mid-century aesthetics. 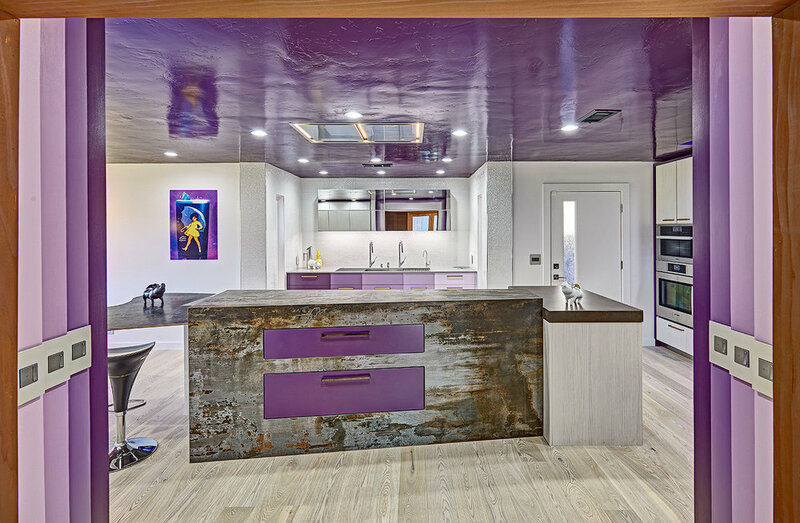 Intentional design choices and current technology such as the recessed range hood and The Galley workstation assures the new space will function to the highest degree. Storage is plentiful between all of the large drawers and deep cabinets, the metal tambour cabinet houses all of the smaller appliances. 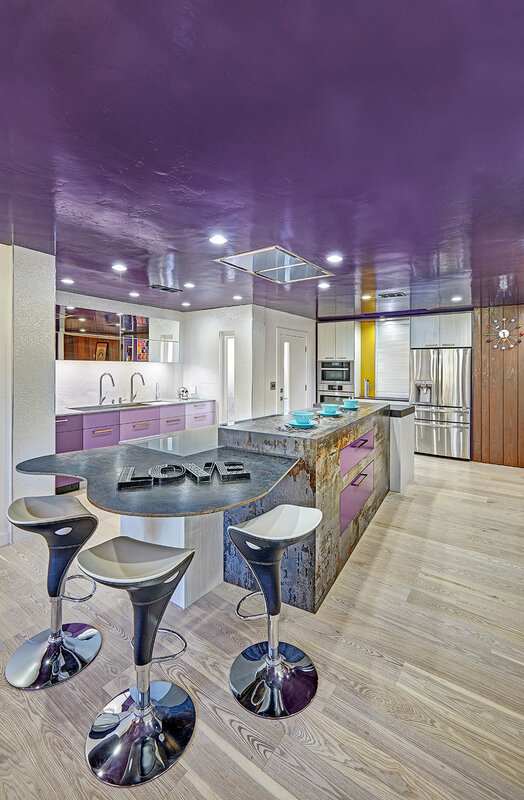 The multi-tiered island showcases a variety of colors and textures working in perfect harmony. The higher side faces the doorway to the kitchen and acts as a bit of visual separation between it and the Entry. Dekton counters are the perfect maintenance free surface. A fitting and affectionate tribute to a brilliant musician.